Researchers and the Surgeon General have often advised against the use of tobacco products, due to the high risk of heart disease, lung disease, and cancer. Dentists, too, recommend you put away tobacco forever. Tobacco not only discolors your teeth and gives you bad breath, but also puts you at a greater risk of gum disease, slow healing after an oral procedure, leukoplakia (white patches inside the mouth), and oral cancer. The tobacco industry leads consumers to believe that smokeless tobacco products, and more recently, dissolvable tobacco products, are less harmful than cigarettes, cigars, and pipes. Products such as snuff and chewing tobacco contain 28 chemicals that increase the risk of oral, throat, and esophageal cancers. Chewing tobacco, snuff, and dissolvable tobacco products also contain more nicotine than cigarettes, making them more addictive and therefore harder to quit. Smokeless tobacco products often irritate the gums, causing a higher risk of periodontal disease, the number one reason for adult of tooth loss. Use of sugars and sweetners in the products can also lead to tooth decay. Tobacco products often contain sand and grit, which can destroy tooth enamel, as well. 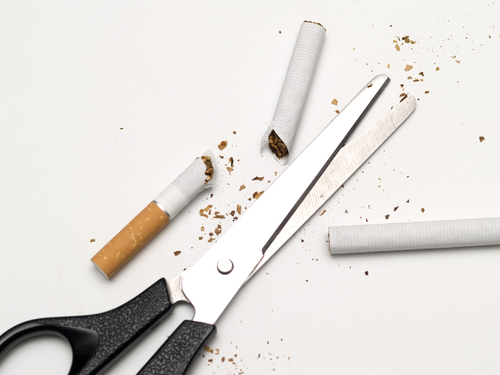 Quitting tobacco products can reduce your risk for periodontal disease, which, when left untreated, has been linked to heart disease, diabetes, stroke, and Alzheimer’s. The American Cancer Society released statics showing that 90 percent of people with mouth, lip, throat, or tongue cancer were tobacco users. I’m Dr. Randy LaFrom, a San Jose and Cupertino family dentist, and I encourage you to quit using tobacco products. If you need assistance to quit or want to whiten your smile after you quit, contact my dentist office in Cupertino at (408)996-8595 to schedule an appointment. I care for residence of San Jose, Cupertino, and surrounding areas! Don’t let tobacco ruin your smile! ~ by cupertinodentist on April 5, 2011.